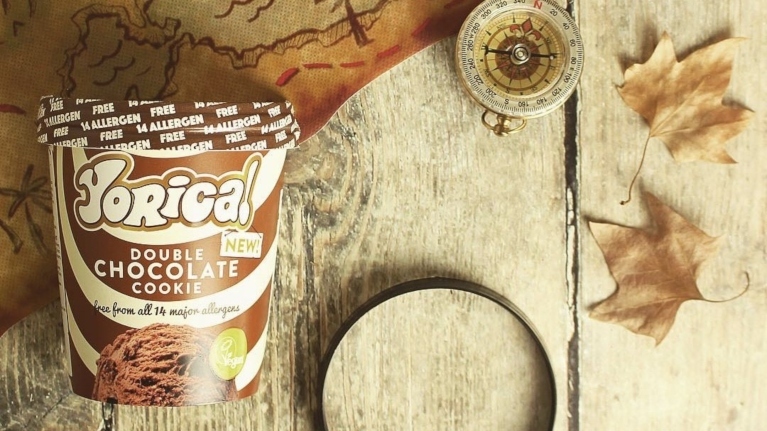 Soho based vegan eatery, Yorica!, has announced its Double Chocolate Cookie ice cream tubs will now be sold in the major UK retailer, Waitrose. The ice cream, which has been approved by the Vegan Society and is free from all of the 14 major allergens, is primarily made from rice and coconut milk and retails at £4.99 per tub. According to The Grocer, Yorica! 's Managing Director, Simon Foster, said the London brand was: “Passionate about helping everyone enjoy ice cream, without worrying about allergies, intolerances or dietary requirements and without any compromise in taste and texture." Yorica!, who also sell plant-based desserts such as soft serve, shakes, crepes, and waffles, announced the news on Instagram, stating: "Today's the day! We are so excited to announce that, from today, you will be able to buy our Double Chocolate Cookie ice cream tubs in Waitrose & Partners! "We hope this wider distribution of our ice cream gives even more of you the freedom to eat free-from anywhere!" Yorica! also states on its website it tries to 'make the most out of [its] resources', saying: "We have sourced eco-friendly food packaging and catering disposables at our Soho store. Our cutlery upholds four main characteristics, it is low carbon, certified compostable, is high heat-resistant and is both eco and economically friendly. "Our non-plastic straws are made from PLA, a 100% biodegradable material derived from cornstarch, making them eco-friendly (as this plant source is also renewable energy, as opposed to plastic production)."